I’m ashamed to admit that I tried to turn my left-handed child into a right-handed one. From a very young age, he had always used his left hand to draw, to eat, to throw a ball. My son was 18-months-old when I gave him a crayon in his right hand on purpose, trying to change his hand preference. “I take it here!, he told me speaking his baby words clearly. He then promptly switched the crayon from his right hand into his left and scribbled a beautiful picture. He was trying to tell me that he is left-handed, and we’ve never looked back since then. 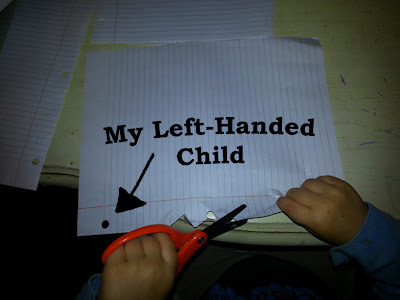 Why is there still a left-handed stigma in our society? After all, celebrities like Barack Obama, Albert Einstein, and famous couple Angelina Jolie and Brad Pitt are all left-handed! Even 5 of the last 7 American presidents were lefties, although left-handedness only occurs in 5-10% of the population! Why did I feel a need to change my son? I think it was for fear that he would be treated differently due to his left-handedness (silly reason, right)? I asked myself how my son is different from my other children? And with the exception of his left-handedness, there is no difference! He is just as handsome, funny, smart, active, inquisitive and creative as my other kids. Then I tried to think of any lefties that I know in real life, and 3 came to mind right away: my brother, my sister-in-law and father (who was forced to become a righty at an early age). All three intelligent, talented, upstanding human beings. Of course there are special considerations with lefties, such as buying left-handed or ambidextrous scissors (right-handed scissors don’t work with lefties), seating lefties on your left-hand side at the dinner table (so you don’t bump elbows while eating) and placing a computer mouse on the left-hand side (or using a mouseless keyboard). And by gaining a little lefty, we have also gained a new holiday: Left-Handed Day on August 13th! I’m sure I must have left out something else! This article was written by me, Jenna Em, and appears on the Wednesday September 26th, 2012 issue of the Kuklamoo Blog. I’m not sure when my family’s web and videogame addiction first began, as it crept up slowly on us. Signs were everywhere had we been able to see them: our 18-month-old stealing the iPhone from his dad’s pocket to play a learning game; our 4-year-old tantruming when we took away the iPad he used for watching educational YouTube videos, and our 6-year-old weeping uncontrollably when computer time was over. I know that I definitely began to take notice when my 7-year-old stopped playing with other children, became more moody, violent and had no sense of others. When we took away “his” computer, he threatened to run away because we were unfair. That is the moment I woke up and admitted to myself that my family had a cyber addiction, and I had to put an end to it! What made the addiction more difficult to detect, was that many of the online games the kids played were educational. I thought my toddler was doing well learning his letters, numbers, colours and shapes on the iPhone! And that my grade 1 child was a super-genius for learning high school biology via an online e-course! So, it had been easy for me to write off hours of computer, smartphone, and tablet time as educational, instead of perceiving it as a family threat. The first thing I did to regain control of my family, was take away all of the household devices. It was a terrible time in our home, with weeping, screaming, aggression and threats (originating from our older kids). My oldest child thought he would get the better of me, and tried to sneak in iPad time during the night. He was successful, until I found it hidden under his pillow before bed! Gotcha! I quickly password protected all smartphones, tablet devices and changed the computer passwords. A flood of anger exploded from our oldest child. He was furious at my husband and I for being so unfair! I expected his anger to worsen, but within one day he started playing with his siblings again and seemed like a much happier, calmer child. The younger kids got used to the cyber ban and found other ways to entertain themselves. A seemingly simple solution, to a very tough problem. My husband thought my ban of all smart devices to be too radical, so we decided that one child may use the computer, smartphone or tablet for 30 minutes at a time, once every 3 days. This has worked out perfectly for us, as all 5 of our kids “piggy back” on each other’s time. Of course, we still oversee the children’s time, and help them select suitable content that is age appropriate. Now that my family has weathered a cyber addiction, I will pass on this piece of advice. Videogames and the internet, even in the guise of educational content, can be highly addictive. Be sure to monitor your kids’ online and videogame activities, limit usage and know when it is time to shut down—before it becomes a problem! This article was written by me, Jenna Em, and appears in the Wednesday, September 19th, 2012 issue of the Kuklamoo blog. How to Attend a Twitter Party in 10 Easy Steps! Have you ever wanted to attend a Twitter Party, but didn't know how? Well today I'll show you how in 10 easy steps! Twitter Parties are a great way to connect with brands and other interest groups in real time, meaning that the party is live with no time delay! Hundreds of people can attend the party at the same time, making for a really lively event! Many Twitter Parties also offer great prizes for attending, adding to the excitement! Typical prizes include gift cards, swag, free product coupons, gift baskets, admission to an event and more! Sometimes there are enticing grand prizes offered like a tablet, laptop or camera! 1 - Get a FREE Twitter account. Make sure that your account is NOT set to private, or no one will see your tweets during the Twitter Party! 2 - Find a party! Good places to find Twitter Parties are on She's Connected, TweeParties, or Kathy's Calm to Chaos blog. All of these websites organize their Twitter Parties by calendar, so it is easy to find a party! 3 - Pick a date, pick a time! Double check the date and time of the party, noting in which time zone the party will be held so you are on time (example: Eastern Standard Time, etc). Check how long the party runs for your reference (ie: 1 hour, 90 minutes, 2 hours). Try to be on time for the party! 4 - Make sure you qualify! Not all parties are open to all countries, so be sure to ask the party host if the party information page does not specify these details. For example, a Twitter Party for the USA often does not offer prizing to Canadians. And vice versa. 5 - Follow your hosts & sponsors. Visit the Twitter Party information page to see the list of hosts and sponsors, which should be listed on the Twitter Party calendar. Not only is it proper Twitter etiquette, but both host and sponsor will be able to Direct Message you (send a private message) if you win a prize! 6 - RSVP to the event! Not all Twitter Party require that you RSVP to the event, but many do. Check the party information page to see if there is an RSVP sign up sheet. If you are not sure, do ask one of the party hosts if an RSVP is required in order to win prizes. 7 - Know the party hashtag. A party hashtag is a # sign, followed by letters or numbers. For example: #SnyMed, #CheeCha, #SCCTO etc. All your tweets during the party will need to be labelled with this hashtag, or you will NOT appear on the party grid and be eligible to win a prize. By using the party hashtag, it makes other party goers "see" your tweets during the party. 8 - Use Tweet Grid or TweetDeck so you can see everything that is happening in the Twitter Party at once. Unlike Twitter, you can view tweets with the party hashtag, tweets from all party hosts and sponsors, and interactions/mentions on the VERY SAME page! Seeing tweets from ALL party hosts and sponsors at the same time is very important, as that is where all the party questions (for prizes) will be tweeted. See below for how I prepared for a recent Twitter Party using Tweet Grid. Note that I placed hashtag tweets in the far left column, host/sponsor tweets in the center column, and interactions/mentions in the far right column. 9 - Answer the questions! Either the party host and/or the sponsor will be tweeting questions, usually using a Q1 (Question 1), Q2, Q3 question format. I would suggest that you answer the appropriate question using this format: Q1, Q2, Q3 in case prizes are picked based on tweets with those markers. It also helps the host know which question you are answering, when multiple questions may have been posed. 10 - Have fun! Yes, the prizes are great, but Twitter Parties are a great vehicle for social networking and information gathering--and a great opportunity to let your hair down and meet some great new people! Raising Your Klout Score Using the New Klout! In a previous post, I wrote about Getting Great FREE Stuff on Klout! I would suggest you read it through before continuing on to today's topic: Raising Your Klout Score Using the New Klout! Although I don't profess to be a Klout guru, I can give you some solid tips that will help you increase, or atleast partially understand your Klout score. This article presumes that you already have a FREE Klout account, or that you will by the time you finish reading this article! What is Klout? - First the basics: Klout is a tool that assigns you a numerical score based on your online social influence. It is a score from 0 to 100, with 100 being the very best. A "0" would be someone who has not linked their social networks to Klout, and a 100 would be a celebrity or someone highly influencial like US President Barack Obama. Why Have Klout? - Believe it or not, some jobs actually require you to present your Klout score when applying for certain positions in social media, fashion, media, etc. There are also FREE Klout Perks that you can receive, based on having a particular Klout score. A typical Perk would be a full-sized bottle of shampoo, body wash or a set of several bottles (ie: shampoo, conditioner and body wash). A premium Perk for a select few would be a laptop computer, admittance to the set of a hot television show, or an "all-expenses" paid trip to Seattle! Link All Active Social Networks - In order to raise your Klout score, I would suggest first linking all your active social networks to Klout. So, if you are active on Facebook or Twitter, link these. If you are active on Google+, LinkedIn, Foursquare, YouTube, Instagram, Tumblr, Blogger, Wordpress, Last.fm or Flickr, by all means link them. If you are inactive in some of these networks, it does not benefit your Klout score to link them. You can play around with Klout and try linking and unlinking your accounts, and you can see which ones cause your Klout score to increase--and which ones to drop! Generate Interest in Your Posts - In order to generate a higher Klout score, it is essential that your posts/tweets/etc generate interest and receive responses/interactions. On Twitter, Klout rates 1 retweet as an interaction, and on Facebook, Klout rates 1 like as an interaction (you get the idea). In order to have a score in the high 60s or low 70s, your top weekly posts should each receive 5-9+ responses. See How You're Rated! 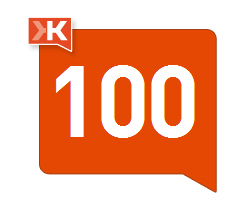 - Visit your Klout Dashboard to see how Klout has been rating you on your interactions over the past 90 days. You will see little green circles at the top right of each of your social interactions. 5 green circles is the best possible rating a post/tweet can receive, with 0 being the lowest. Klout only shows interactions that are rated 1 or more green circles. This is how they look, see image below. Receive +K - Klout also factors in +K that you receive from other Klout users when tabulating your Klout score. +K is the way that others vouch for you on Klout that you are an expert in a certain area, such as Fashion, Movies, Dogs, Blogging, etc. You can add up to 20 Klout topics by logging into Klout and substituting "SnyMed" with your own Klout user name: http://klout.com/#/SnyMed/topics . Don't forget to +K others back! You receive 10 +K daily, which can be used for +K-ing others or for adding a new topic (costs 5 +K). Other Factors That Influence Your Klout Score - There are other factors that come into play when calculating your Klout score. The old Klout format scored you based on how many Facebook comments you received on your wall, or how many mentions or Retweets you received on Twitter. Although none of these indices are mentioned on the new Klout, it seems plausible that they are still scored. Sorry, I can't recall if Facebook shares were scored in the old Klout format, but it likely was/is a part of your score. In addition, amount of Facebook Fans/Twitter Followers likely play a part in your Klout score, so having more is better! And all evidence seems to support that Facebook and Twitter are the strongest driving force in your score, so do ensure you are active in both and linked via Klout! Did this article help you? 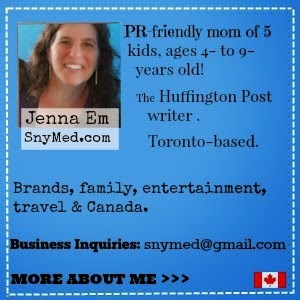 If so, please leave a comment or +K me in your area of choice would be greatly appreciated (Klout name Sny Med)! As a lifelong nail-biter, I was never proud of this hard-to-break habit. It sat in the shadows for me, until the day I noticed my 2-year-old starting to bite his little nails. The emotions that went through my head when I first saw my son biting his nails, were ones of horror and disappointment—disappointment at myself for passing on my very worst habit to my child. Do As I Say Not As I Do - What could I do then to make my son stop biting his nails? Quitting cold turkey was the most obvious, albeit, difficult option. So, I went with the easier choice: “Do as I say, not as I do” approach. I told my son how dirty it was to bite his nails, and that the germs in his mouth could make him sick. I told him that his nails did not look nice all chewed down. I told him that just because Mommy bit her nails, he did not need to do the same. Needless to say, this did not stop my son from biting his nails! The Invisible Habit - I wondered if it would make a difference should I only chew my nails when my son did not see me? After all, out of sight is out of mind. So, every time I saw my son coming, I made sure to not be biting my fingernails. I was sure he did not see me. “Mommy, were you biting your nails?”, he would ask. I guess he saw me after all! This approach did not work. Positive Reinforcement - Everyone likes to receive praise, so I praised my son lavishly every time he did not have his fingers in his mouth. I complimented his nails shamelessly and told him he had the hands of a prince. I even offered him the reward of his choice if he could go for one week without biting his nails. This technique fell short. Seeing Is Believing – For my son, the proof was in the pudding: he wanted to see physical evidence that Mommy had quit biting her nails. About one week later, the proof arrived as my nails grew long enough to display their “whites”. The evidence satisfied my son and he stopped biting his nails around that time also! As his fingernails continued to grow, he was proud to display the “whites” of his nails to me too. Two years have passed now, and my son and I have not bitten our nails since I first grew my fingernails long. What I have learned from my own trials and tribulations as a parent, is that I am my child’s best role model. And to be that all important role model, it means sacrificing and quashing my own worst habits. This article was written by me, Jenna Em, and appears in the Wednesday September 12th, 2012 issue of the Kuklamoo blog. Let’s Talk About Price Matching! Have you ever tried to shop a sale, only to find that the coveted sale item is sold out? It can cause some major sulking, especially if the store next door has TONS of the sale item, only at full price! That’s when price matching comes in, and we’ll discuss exactly how it works. Price Matching Basics – If a participating merchant has the identical product (as appears in a competitor’s flyer), but at a higher price, you can request a “price match”—and will be given the sale price from the other store! Identical means same brand, size, selection, etc. Shop Participating Merchants – In order to price match, you must shop at a participating merchant who allows price matching. Some major retailers that price match include Wal-Mart, Zellers, Canadian Tire, Home Depot, Office Depot, Rona, Sears.ca and Sears catalogue, Staples, Best Buy Canada, Future Shop, Toys R Us, The Brick, Superstore/Loblaws (baby items), No Frills and Fresh Co. Target price matches, which means they’ll likely continue price matching when they set up in Canada shortly! Give Me Proof! 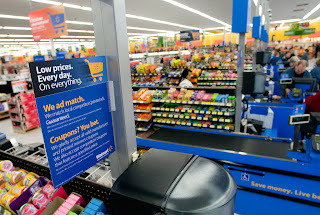 – Price matching is a fabulous way to save money, but it requires that you show the cashier the competitor’s flyer that advertises a lower sales price. 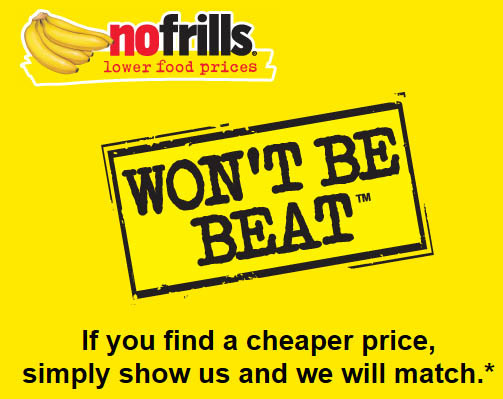 All merchants accept the paper flyer, but some merchants will even match a competitors’ online web price! Play By the Rules! 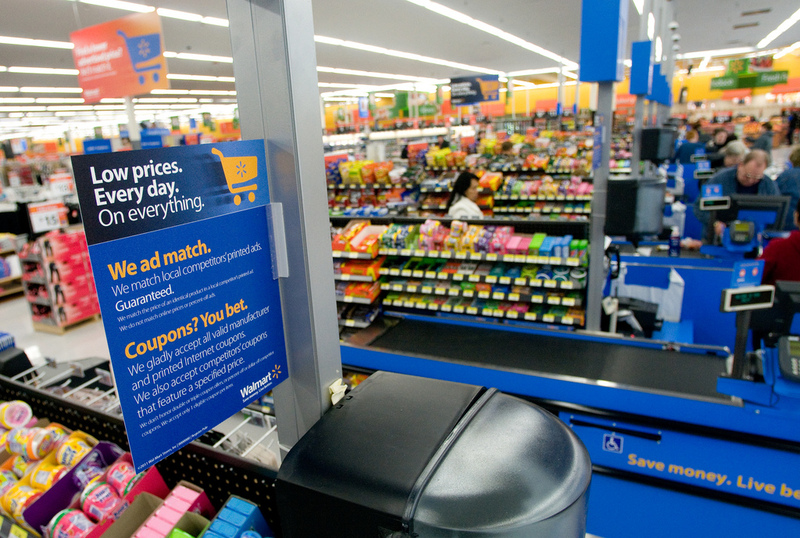 – Before you make a trip in to price match, be sure to know the merchant’s rules, which vary from store to store. Rules may include price matching only for the duration of a competitor’s sale flyer. And some stores will only price match certain competitors, not all. Others may limit the quantity you are allowed to price match per item (ie: 4 cans of soup per person, etc). See rules by store, below. Baby Come Back to Me! – Some price match guarantees require you to have made a purchase first, in order to receive a price match. For example, if you see a lower competitor’s price advertised after you have made a purchase, some merchants will refund you the difference (timeframe varies from 7 to 30 days after purchase, depending on merchant). Some merchants will even offer a rebate (varies from 1₵ to 10% off the difference in actual and price match price)! Original receipt is required. This article was written by me, Jenna Em, and appears in the Wednesday September 5th, 2012 issue of the Kuklamoo Blog!